Pickup from Thiruvananthapuram Airport / Railway station and transfer to hotel in Kovalam beach (25 minutes drive), Kovalam is one of the best beaches in India. Enjoy the beautiful Crescent shaped beaches (Eve’s, Groove’s & Light House) and a massive rocky promontory on the beach which created a beautiful bay of calm waters ideal for Swimming, Snorkeling & Surfing…. Free at own leisure there by sunbath, swimming, surfing….. And the shore is lined with plenty of restaurants offering all kinds of sea food available locally. If you like seafood with dinner, choose the fish of your taste and enjoy till late night. 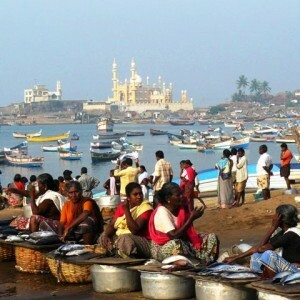 After a Kerala style breakfast head to Kanyakumari (80 Km, 2 hours drive). Visit Padmanabhapuram wooden palace (Monday closed), Suchindram temple, Devi Kanyakumari Temple, Vivekananda rock, Gandhidham and Triveni Sangam (confluence of 3 oceans–Indian Ocean, Bay of Bengal & Arabian Sea). This town is at the southernmost tip of India and is specially popular for its spectacular and unique sunrise and sunset, thanks to its being nearly surrounded by ocean waters (Bay of Bangal, Arabian Sea and Indian Ocean). On a pleasant, full-moon evenings, one can see the moon-rise and sunset at the same time. The nature of the sand on the beaches of Kanyakumari is unique as it is multicoloured. Drive back to Kovalam after sunset. After todays breakfast proceeds to Alappuzha (160 Km, 3.5 hours drive) for an enchanting backwater cruise & overnight stay in a traditionally decorated houseboat with modern facilities. Cruise starts with a tender coconut welcome drink. Traditional Kerala food will be served on board. Enjoy picturesque canals, lakes & lagoons, duck farming, Coir making, Chinese fishing nets, toddy tapping and much more, totally away from the hustle & bustle of mainland for 22 hours. Day 4: Vagamon (98 K.ms from Alappuzha, 3 hours’ drive, 1100 meters above sea level) Morning after a traditional Kerala breakfast, drive to Vagamon, also known as the ‘Scotland of Asia’ was discovered by the British who found the place ideal for tea plantations. National Geographic Traveler has listed Vagamon on their directory of the ’50 most attractive places to visit in India’. Still untouched by commercialisation, the sleepy town with its scenic valleys, beautiful green meadows, enchanting pine forests, mists, fogs, tea estates, waterfalls with the overall greenery is really striking. Day 5: Thekkady (50 K.ms from Vagamon, 2 hours’ drive, 1000-1900 Meters above sea level) After a leisurely breakfast have a scenic drive to Periyar Wildlife Park, check in to the hotel. 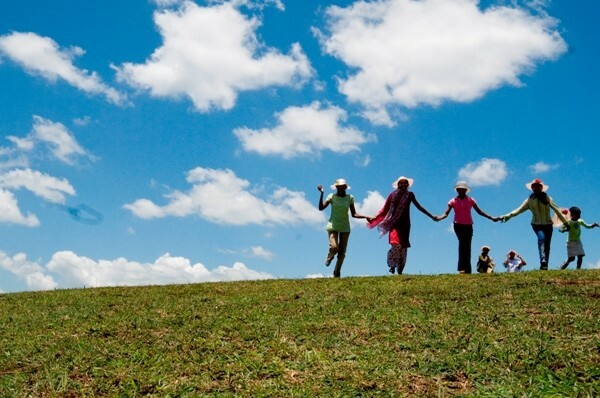 Get refreshed, relax & go for local sightseeing in the afternoon. Periyar, the dream dream destination is which spread over an area of 777 Sq.Kms, surrounded by an artificial lake over an area of 25 Sq.Kms. A small border town of Kumily is very famous for its spice trades, where you can spend few hours for spice shopping. Elephant Safari, Boating through Periyar Lake are always memorable. Spend the night at hotel. After your delicious breakfast drive to the majestic hill station Munnar, was once the summer resort of the British government in South India. Check in to hotel & stay 2 nights. Eravikulam National Park, Chinnar wildlife sanctuary, Anamudi Peak, Mattupetty Dam, Tea Plantations, Eco point, Chinnakanal waterfalls, Anayirangal Dam, Top Station, Tea Museum are some of the attractions here. After breakfast drive to the majestic waterfalls of Kerala. The Chalakudy River bursting forth from the jungles of Sholayar, comes crashing down, plummeting 80 feet to form the dramatic Athirappilly Falls – the waterfalls as spirited and noisy as the forests are dark and silent. The cool spray that covers a large area near the falls makes this area a scenic location. Many eminent film directors used this location for their movies. 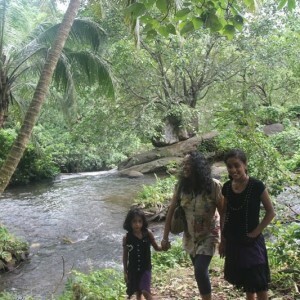 Overnight stay at Athirappilly. 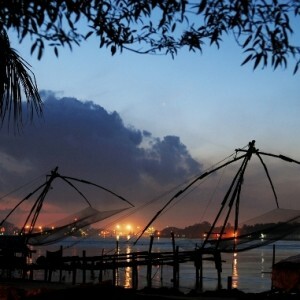 Today after breakfast have a city sightseeing drive to Kochi “the Queen of Arabian Sea” check-in to the hotel at Fort Kochi which is also known as “Old Kochi”, An obscure fishing village that became the first European township in India. A leisurely stroll through its streets is one of the best ways to discover all that this city has to offer – each and every nook of this island is steeped in history. There is always something interesting awaiting you like its natural harbor and historical sites. A boat ride across the breathtaking blue lagoons and backwaters offers a glimpse of Kochi’s rural life and its inherent beauty. In the evening, if you are interested enjoy Kathakali – the exotic and universally popular performing art of Kerala. ‘Mudra & Make-up’ demonstration follows the performance. The two hours pass too soon. And don’t forget to visit any of the “You Buy I Cook” shop if you like to taste fish from Kerala. After breakfast proceed to airport/Train Station to get back home with the joyful memories from God’s Own Country. Please note: This tour can be done by starting from Kochi and finishing at Thiruvananthapuram.